Where does the January 2019 Lee County Florida foreclosure report come from? We download from public records and trend with Microsoft Excel. We have been doing this since 2007. This report has value because it is a leading indicator of bank-owned homes coming to market. Compiled and analyzed by Jeff Tumbarello. 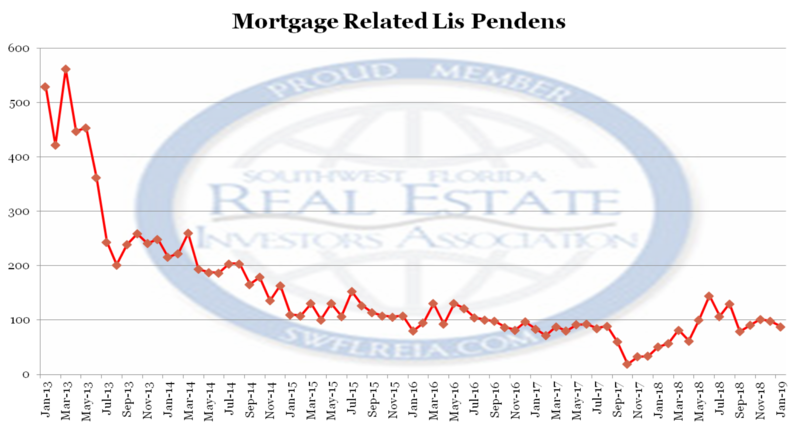 January 2019 Lee County Florida foreclosure report: Trends at a glance. January 2019: 88 Mortgage related Lis Pendens. December: 2018: 98 Mortgage related Lis Pendens. January 2018: 51 Mortgage related Lis Pendens. January 2019: 76 Certificates of Title were conveyed. December 2018: 33 Certificates of Title were conveyed. January 2018: 87 Certificates of Title were conveyed. 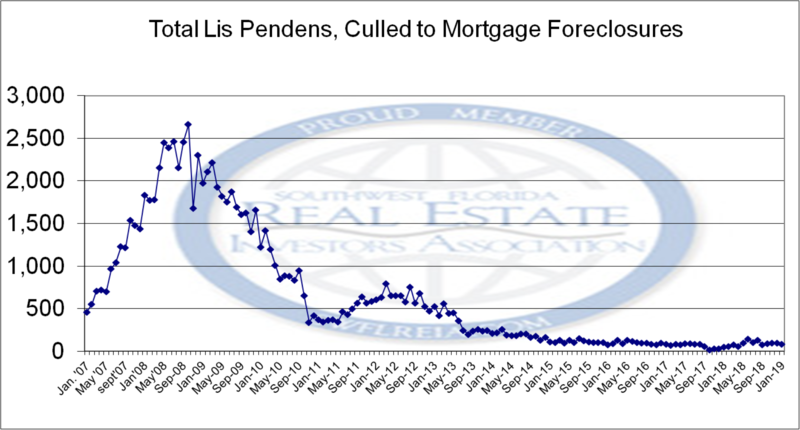 January 2019 Lee County Florida foreclosure report: Lis Pendens filings since 2015. 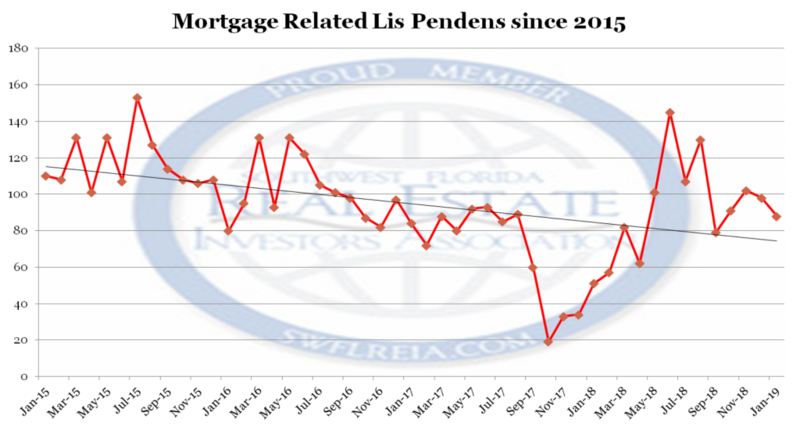 January 2019 Lee County Florida foreclosure report: Lis Pendens filings since 2013. 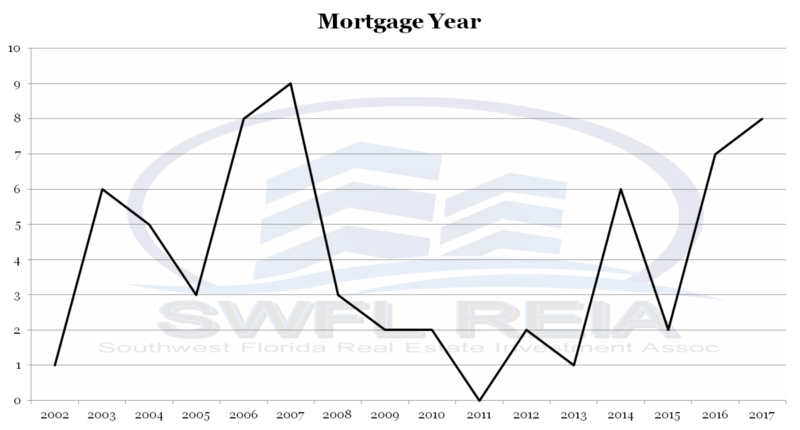 January 2019 Lee County Florida foreclosure report: Lis Pendens filings since 2007. January 2019 Lee County Florida foreclosure report: Foreclosure filings by year originated for January 2017. 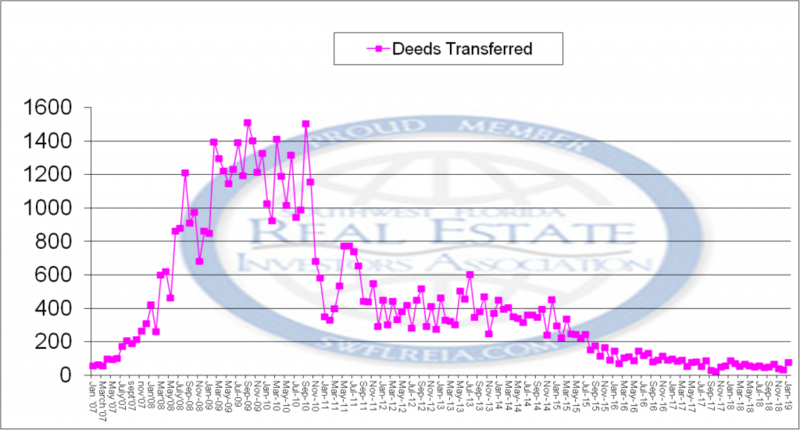 January 2019 Lee County Florida foreclosure report: Deeds transferred via a Certificate of Title since 2015. 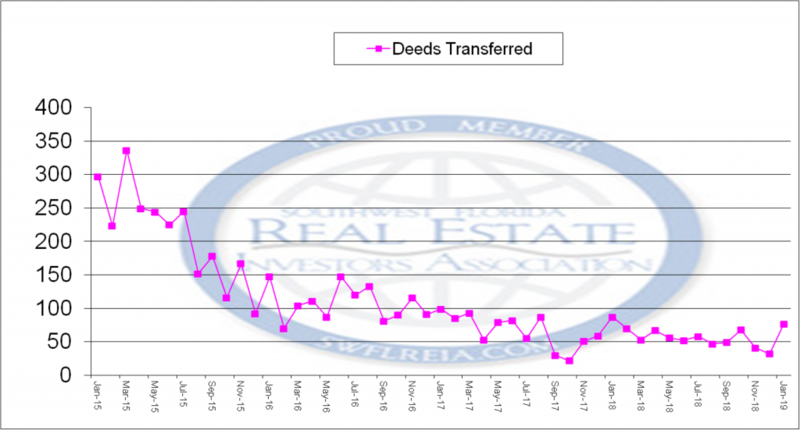 January 2019 Lee County Florida foreclosure report: Deeds transferred by Certificate of Title Since 2007. January 2019 Lee County Florida foreclosure report: Notes. The lack of Certificate of Title Growth in relation to the Lis Pendens filings shows that the market has improved to the point if you go into default. You can trade out. the disruption from Hurricane Irma passed. The current trend of the distressed market NOT being the primary (last cycle) driver will continue. The current filings appear to be the following factors. See you at a meeting soon!